Throwing flies at bass this summer? Here are some tips from Tim Romano, of Field & Stream Magazine on how to improve your catch rates. For more tips, check out his blog post at, Five Tips for Catching Bass on the Fly. Bass are found in all 48 contiguous states and even Hawaii. They eat readily and can be fished for most of the year. With the advent of flies like Umpqua’s “Game Changer” and “Schmidterbait” it’s never been easier to target these fish with the long rod. Here are five tips that should help you catch more bass on the fly. Check out, Five Tips for Catching Bass on the Fly For more tips, check out the blog at Field & Stream. Looking at getting in to fly fishing for bass? Check out these TFO rods! The Mini Mag, The Mangrove and The Hawgleg. Have questions on when and where to throw big flies for bass? Drop us a note at info@tforods.com, or check us out on Facebook, Twitter and Instagram. Comfortable in any condition, the TFO Long Sleeve Micro Solar shirt really comes alive when temps lurch into the 90s and humidity hangs overhead like a wet blanket. Equally at home while hanging around the boat ramp or the campfire, the long sleeved, lightweight-performance polyester material wicks away moisture while preventing harmful UV rays. 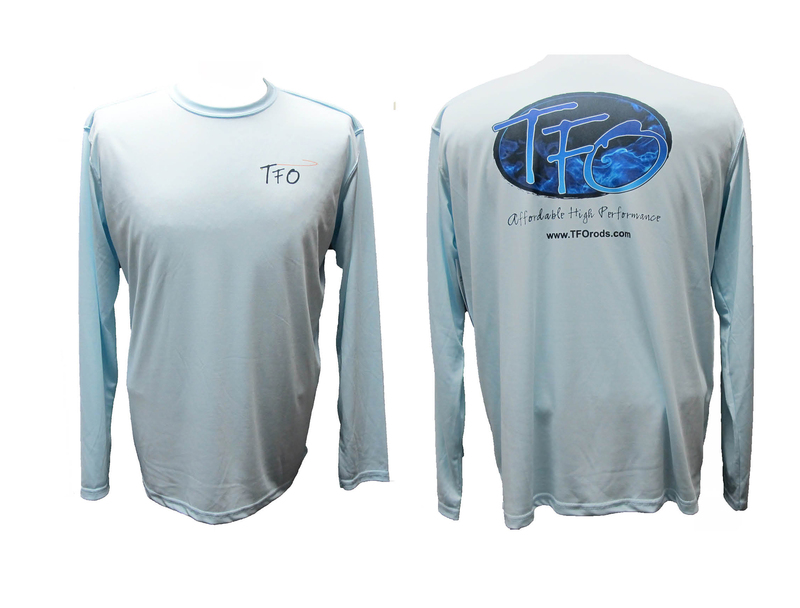 A Large TFO Blue smoke logo is screen printed on the back, and the features a three-inch TFO Rods Loop logo above the left breast. Shirts come in sizes from S-3XL. Check out the new Micro Solar shirts, as well as other TFO related gear, on our new shopping cart: TFO online shop!